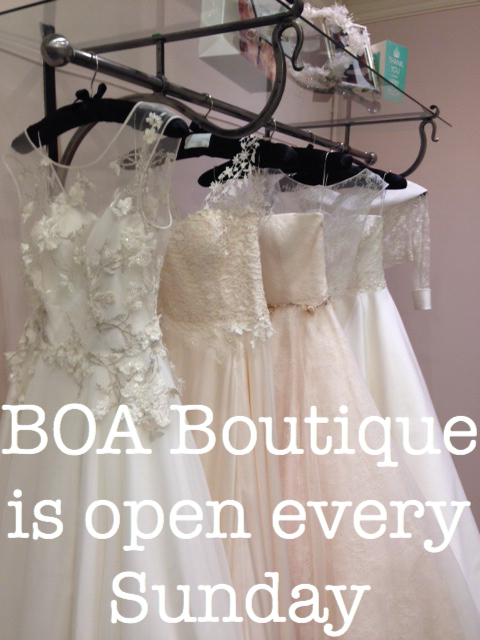 Did you know that BOA Boutique is open every Sunday? Our stunning boutique on Richmond Hill is open every single day for your convenience. Sunday really is a particularly special time to book an appointment as you will have a calming, stress free, one- to-one appointment with one of our professional Bridal Consultants, and you should find that the boutique is not as busy as it is on a Saturday. Very few Bridal Boutiques open on a Sunday and we are very proud that we have always opened daily, so why not book an appointment to come and see us on a Sunday between 11am and 4pm and you can then enjoy the other delights that Richmond has to offer after.